I would like one or two songs at the wedding. I would look for your recommendations. 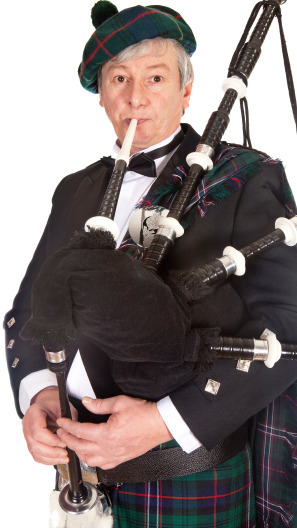 Our client will be announcing their next year's annual conference destination (Ireland) and will need a professional bagpiper during this announcement. The sound of a bagpipe has a certain magic and nostalgia to it. A festive Irish or Scottish event is made that much better with the sounds of the Scottish Highlands! Of course, no St. Patrick's Day celebration is complete without a rousing bagpiper. And in the somber time of a funeral or memorial service, bagpipes are a resonating and beautiful choice of music. With such a unique sound and appearance, bagpipes make any event instantly more interesting. Search for Bagpipers in St Louis, Missouri above. Please note that these Bagpipers may also travel to St Louis, East Saint Louis, Lovejoy, National Stock Yards, Venice, East St Louis, Sauget, Madison, Fairmont City, Cahokia, Alorton, Centreville, East Carondelet, Jennings, Pagedale, Maplewood, Broadway, Richmond Heights, Clayton, Riverview, Shrewsbury, Normandy, Hanley Hills, Bella Villa, Dupo, Brentwood, Bellerive, Lemay, Cool Valley, and Pontoon Beach.